Promoting your Facebook page is one of the most genuine way to get your Facebook followers. If you get followers this way, your followers will be more trustworthy and they will never leave your page easily. Follow below steps to get more followers on Facebook and grow your page. To optimize your Facebook page you need to Write a professional bio and stay active on your page. Post great content and make sure your content is sharable. Use hashtags while you post anything on your page, It will reach you to more people’s. If you have a blog then add a widget of your Facebook page on your blog. Once you have optimized your page you will start getting some Facebook likes, but it’s not enough. 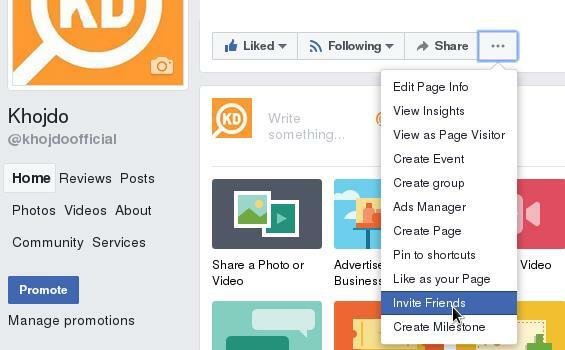 You need to invite your Facebook friends to your page and promote your page with other groups. 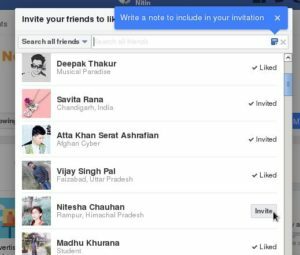 To Invite your Facebook friends to follow your page, simply go to your Facebook page click 3 dot’s button on the right side of share button and Click Invite friends. 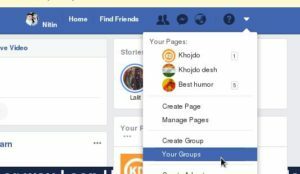 Once you Invite all your friends, Now you can start promoting your Facebook page with Facebook groups. To do that you need to join some Facebook groups. 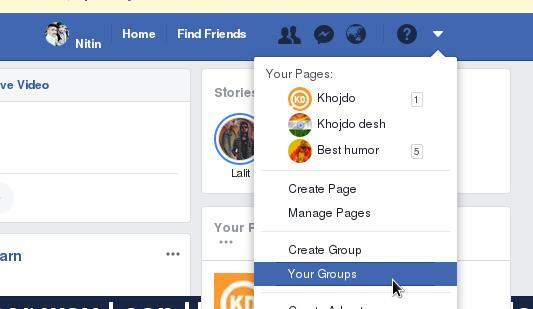 Click on the down arrow on top right corner of your Facebook > click your groups > and here you will see some suggested groups. Now click to Join button on all of your friends one by one and wait for some time to get approved. once approved you can start promoting your Facebook page on these pages by sharing your content. you will see lot’s of famous pages on Facebook entertaining their audience, you can simply ask them in their inbox to promote your page with their audience. They will promote your page with their audience for free or they will ask you for some amount of money in return, It depends up to these page admins. If you don’t want to spend lots of time to promote your page on Facebook groups, or creating lots of posts to engage audience so that you get more followers on Facebook. Then this section in my article “how to get more followers on Facebook” will be very helpful to you. There are lots of tricks you can use to get more followers. Just read my article carefully now. I’m not asking you to create lots of Facebook ids, but you can just create only 1 or 2 Facebook accounts, convert them to pages and merge them. All this will take about 2 days to create a new page with about 12000 followers. Yes you hear it right, you can get lots of followers this way. To do this you need a fake email id which you can get on 10minutemail.com , benefit of this mail website is that you don’t need to create a new email id. You will automatically get a new email id after opening this site and it will be deleted automatically after 10 minutes. After getting email id you need to create a fake account on the name of a girl. Once you create a Facebook account on the name of girl, send friend request to at least 10 Peoples and your account will be rushed with about 1000 friend requests and you have to accept all of them. this way you will get about 6000 friends on your Facebook fake id. Now convert your Facebook id to page on the This link . Now with same process create 2 or 3 accounts and merge them on this link . That’s it. thanks for reading our article how to get more followers on Facebook.